You’ve read about it. We’ve tweeted it. Builder inventories (completed, but unsold homes) across the region are lower than they’ve been in years. So, while your choices might seem more limited, take a closer look. 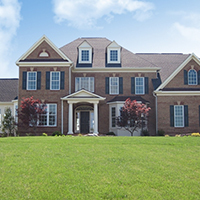 At our Waterford Creek community of 3-acre estate homes in Leesburg/Hamilton we’ve just opened a new section. And at Shaker Knolls, our single-family home community coming soon to Herndon we’re about to start building. The benefit to you? Everything from the lot you want to the floorplan, to the specific elevation to the options and finishing details of the home can be your decision instead of ours. So the more particular you are with your personal preferences the better the opportunity right now.